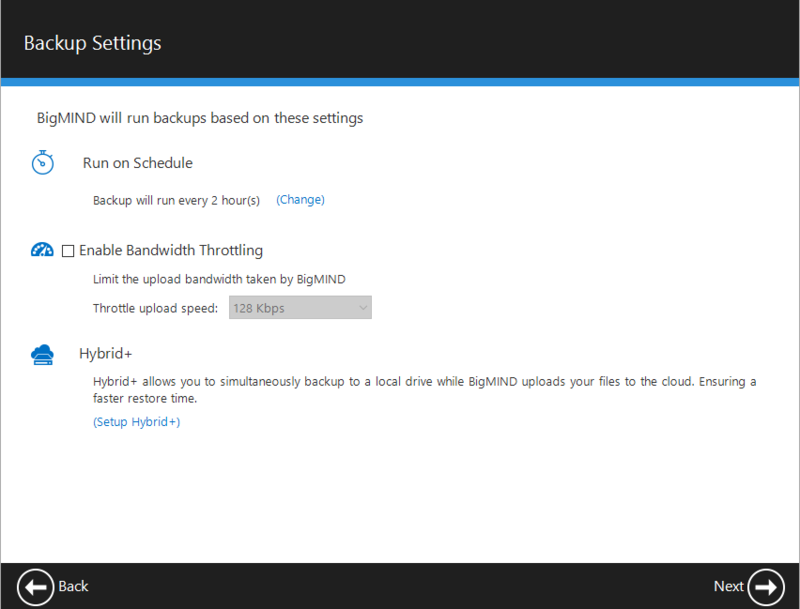 To back up a Windows Server using BigMIND, please click here. If you do not have an account yet, you may sign up for a free trial now. The Welcome to BigMIND dialog will be opened. Use it to download the setup file of BigMIND on your machine. Run the downloaded setup file and follow the onscreen steps in the installation wizard. Once BigMIND desktop client is installed, enter your account credentials. 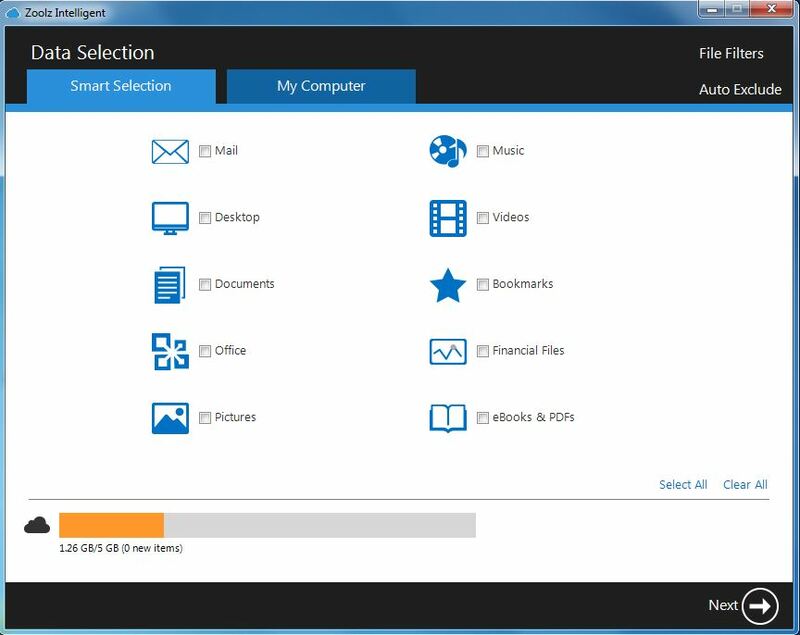 Smart Selection: Contains various built-in plugins that you can use to backup some of the most important items on your computer. 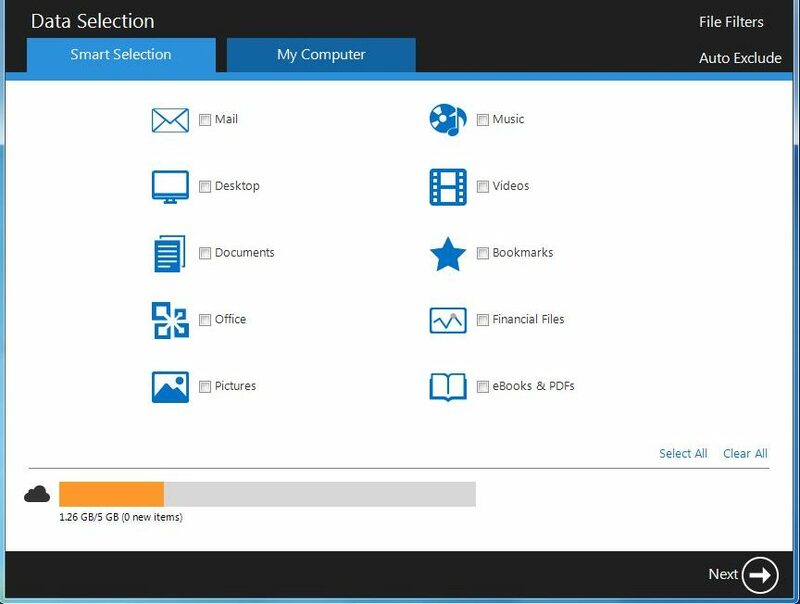 My Computer: Allows you to backup files and folders from any location easily accessible from My Computer using an easy to use Windows Explorer-like interface. Cold Storage: Extremely low-cost storage that provides an optimal, secure, and reliable storage solution for data that is rarely accessed. The difference between Cold Storage and Hot Storage is that the data takes 3-5 hours to be restored. 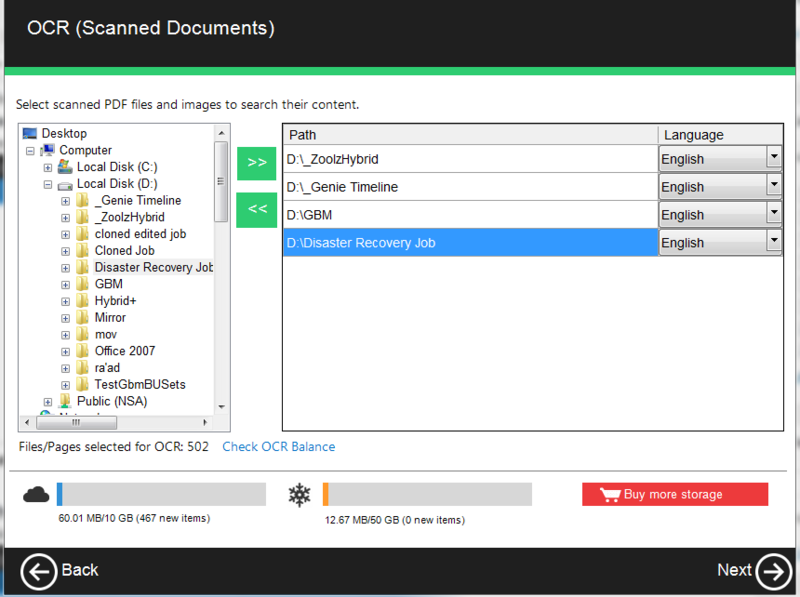 Select the files you want to backup using OCR. Run on Schedule: Set how often you would like BigMIND to backup your files. Bandwidth Throttling: Enable this option to limit the amount bandwidth you want BigMIND to use. This option will NOT give the full speed potential of BigMIND, but you can enable it if you would like to upload files or use your upload bandwidth with other Tools/Programs. Hybrid+: BigMIND’s Hybrid+ doubles your backup protection by creating a copy of every backed up file to a local server, external or network drive; ensuring faster recovery when needed. 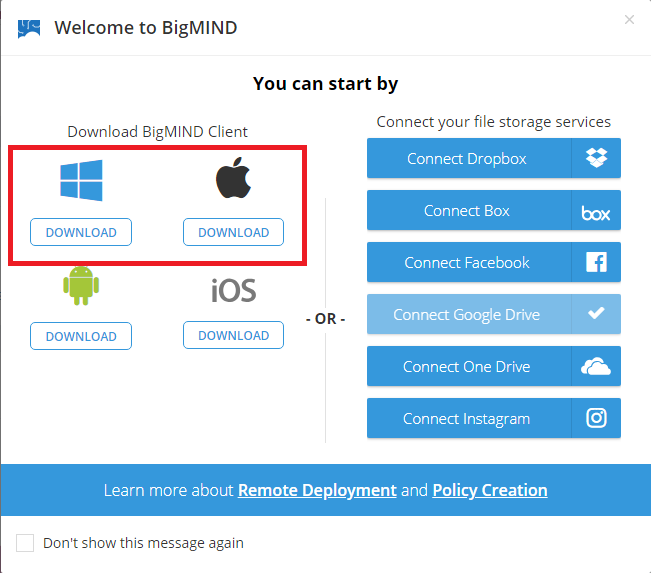 If there is a policy assigned to the users that are installing BigMIND, then once you install the setup file and sign into the user’s account, the backup will start automatically without the need to configure it manually. If you do not have an account yet, you can sign up for a 5 GB free one now. Bandwidth Throttling: Enable this option to limit the amount of bandwidth BigMIND will use. This option will NOT give the full speed potential of BigMIND, but you can enable it if you wish to upload files or use your upload bandwidth with other Tools/Programs.